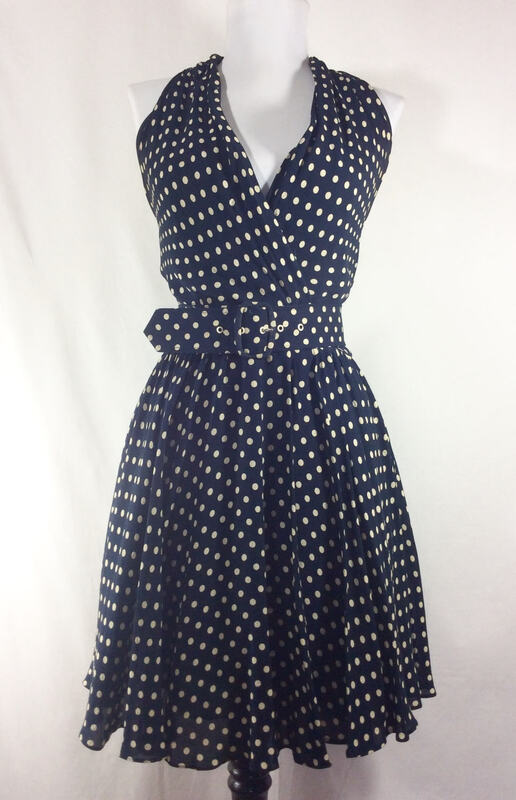 This fabulous and flirty 80's does 50's polka dot dress is perfect for any occasion! 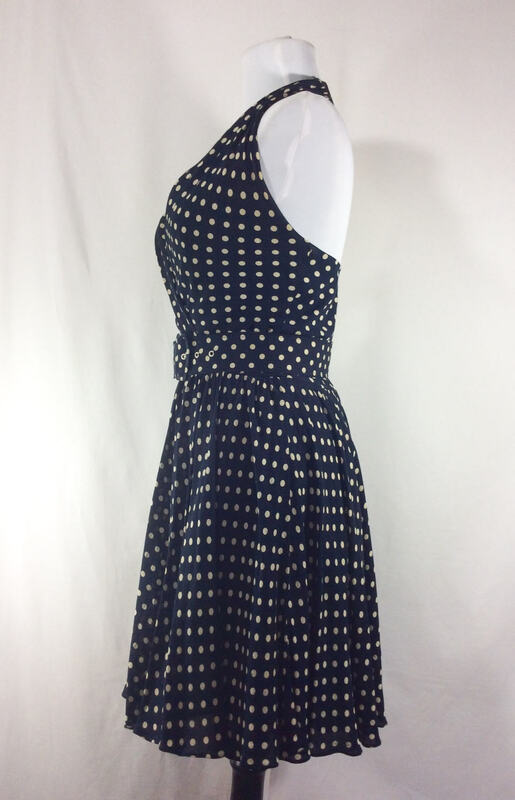 The dress is made of navy blue chiffon fabric with off-white polka dots, and also has a solid navy blue chiffon lining throughout. The fabric does not stretch. Please see measurements below to guarantee a great fit. 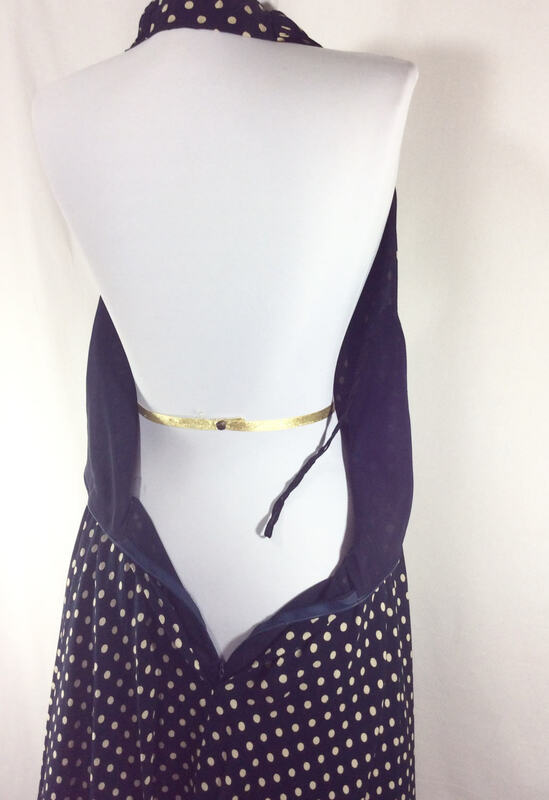 A plunging halter neckline and faux wrap detail draw attention up toward the face. The 2 inch wide belt accents the natural waist, creating that perfect hourglass silhouette. This dress closes up the back with a 12 inch zipper. 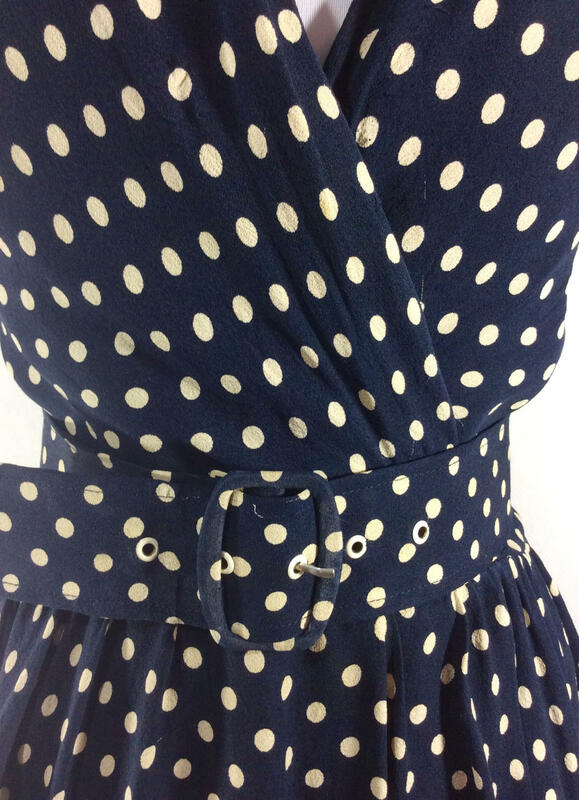 There are a couple pulls in the fabric by the front waist (see photos), and there is some slight fading of color in the fabric at the back neck strap, but neither are that noticeable. Over all this item is in good vintage condition and would look great at the beach, a dance, or even cocktail hour! 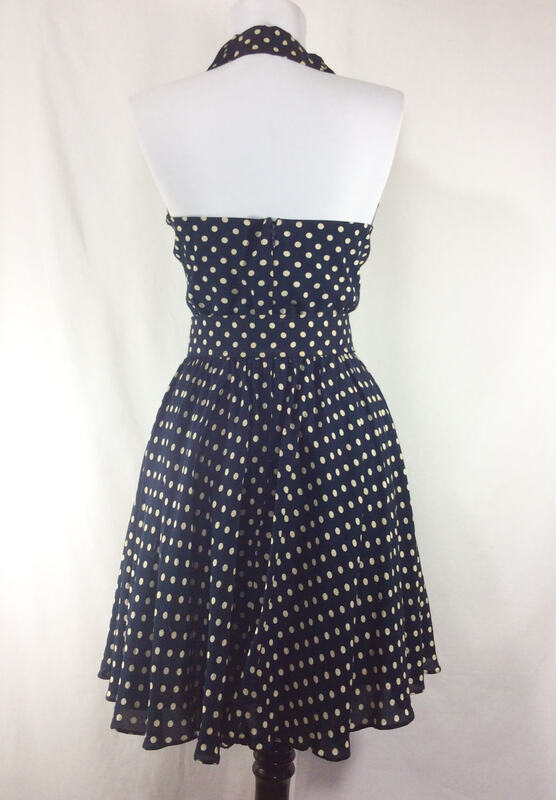 Skirt length- 20 inches long.